If you have been injured in an accident due to the fault of another party, you may be entitled to compensation for your damages through a personal injury claim or lawsuit. Throughout your claim, you may find that the insurance company you are pursuing compensation from is offering you significantly less than the damages and or injuries that you sustained. This is not uncommon. Repeatedly, personal injury victims just you are subject to the same shoddy and unprofessional treatment or low-balling. This is why you need a personal injury law firm like Fiumara and Milligan Law to help you through the claims process. There is a common misunderstanding that insurance companies exist to reasonably settle claims for people who have suffered injuries, damages, and losses due to an accident. They are in business to make a PROFIT and their first allegiance is to their stockholders. While it is true that insurance companies contribute to the overall compensation that victims receive the amount that they contribute initially is almost never enough. Much like any large corporation, insurance companies exist for one reason: to make money for their shareholders. Because they are beholden to these shareholders, the less money they pay out to you in claims means more profit, bonuses and dividends for their shareholders and executive board members. In the end, the main goal of an insurance company is to reduce a settlement’s claim value as much as possible to increase their profits. To do this, they will use tactics and carefully planned strategies throughout your claim process to offer you the lowest possible settlement in hopes that you will accept it—many people do just that or give up—BUT NOT US! If you are involved in an accident but only suffer “minor injuries” such as whiplash, contusions or abrasions you may be subject to receiving exceptionally low settlement offers because taking your case to trial won’t make economic sense for an attorney. This is usually the case in car accidents when the damage to a vehicle is minor, and whiplash or a similar injury was the only injury that was sustained. In this situation, the insurance company fully understands that the attorney fees will likely exceed the money that the attorney would reasonably expect to make on the case. Because of this calculation the attorney and the claimant lose much of the leverage that they could have for a more serious injury case. 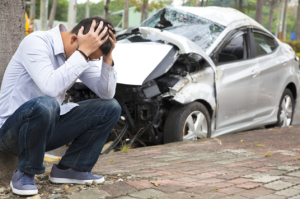 If you have been in an accident due to the negligence of another party, you should expect to be contacted by an agent of that party’s insurance company. One of the biggest mistakes that we see injured parties make during this early stage is to disclose too much information about their accident and their injuries with the opposing insurance company. We highly recommend that you not speak to anyone about the specifics around your accident or injuries until you have first consulted with Fiumara and Milligan Law about your legal options. Very often injured plaintiffs such as yourselves, will answer the questions asked of them by opposing insurance companies before the full extent of their damages or injuries are known. 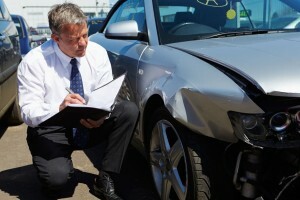 When this occurs, your claim can be damaged, and your compensation may be reduced as a result. Don’t fall for the opposing agent’s request and then receiving your permission to participate in a taped telephone interview with you when you are under the care of a medical provider, in great pain, or on prescribed narcotics and can’t think clearly. If you have been injured in an accident, do yourself a favor and schedule a FREE & CONFIDENTIAL NO OBLIGATON case evaluation with Fiumara and Milligan Law. Attempting to handle your personal injury case without a lawyer is never a good idea. A common assumption people have is that they will be treated even though they do not have a lawyer. This almost never the case. Insurance companies will often discourage you from hiring a lawyer for your personal injury claim because they know that you are not well versed in the legal process, the claims procedure and your rights. Without a lawyer fighting for your rights every step of the way in your case, you will not have the leverage needed to recover FULL and FAIR compensation for you claim. Don’t make this mistake. 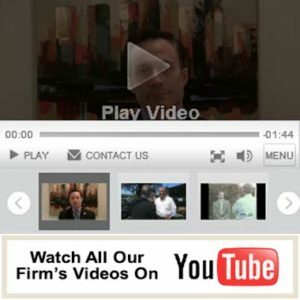 Contact the Fiumara & Milligan Law Firm right away so one of their highly skilled and compassionate attorneys can immediately begin to protect you against unfair insurance offers. 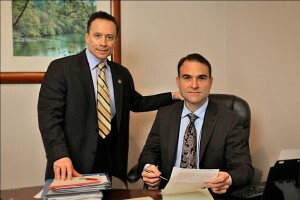 Santa Rosa personal injury attorneys Michael A. Fiumara and Justin O. Milligan are experienced personal injury lawyers in Sonoma County that know how to deal with insurance companies. They will be there every step of the way to ensure that your rights are protected. Call us today at 707-571-8600 and find out how we can help you! Please see our dedicated personal injury page, CLICK HERE.